The definitive version of the Co-op Web Builder platform is scheduled to be released on December 18th of 2017. This is the first iteration of the program to be using Drupal 8 as the backbone of the content management system. We also are bringing component design and drag/drop page building tools to the system. 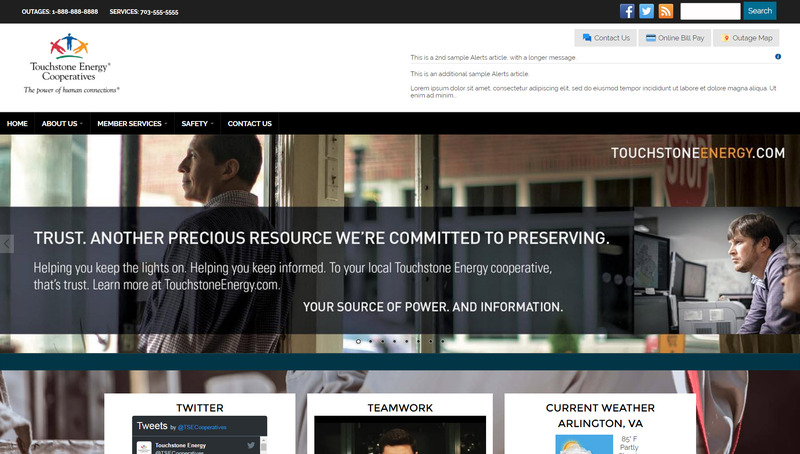 Here is a screenshot of the default homepage demo that is included with every account. 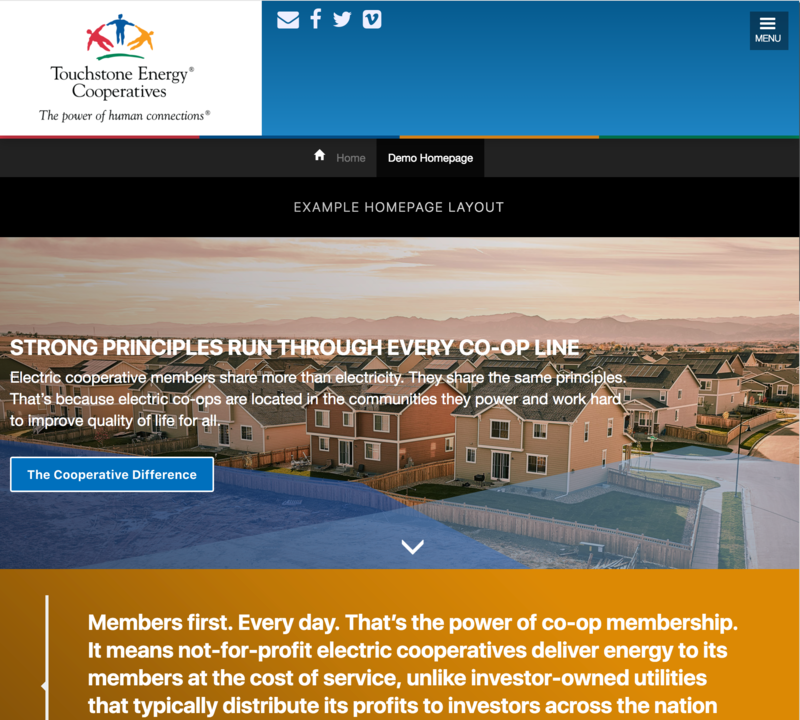 The second screenshot is of the mobile-first responsive theme behavior for a page being built on Choptank Electric's new site. This showcases an infographic as well, which is just one of the 20 or so pre-styled components in the new system! We released a mid-year offering in the summer of 2016. Since release, we have been calling it Co-op Web Builder 2.5. This is a complete new system with fully responsive templates and drag/drop page building techniques. Currently there are over 150 websites using this platform. 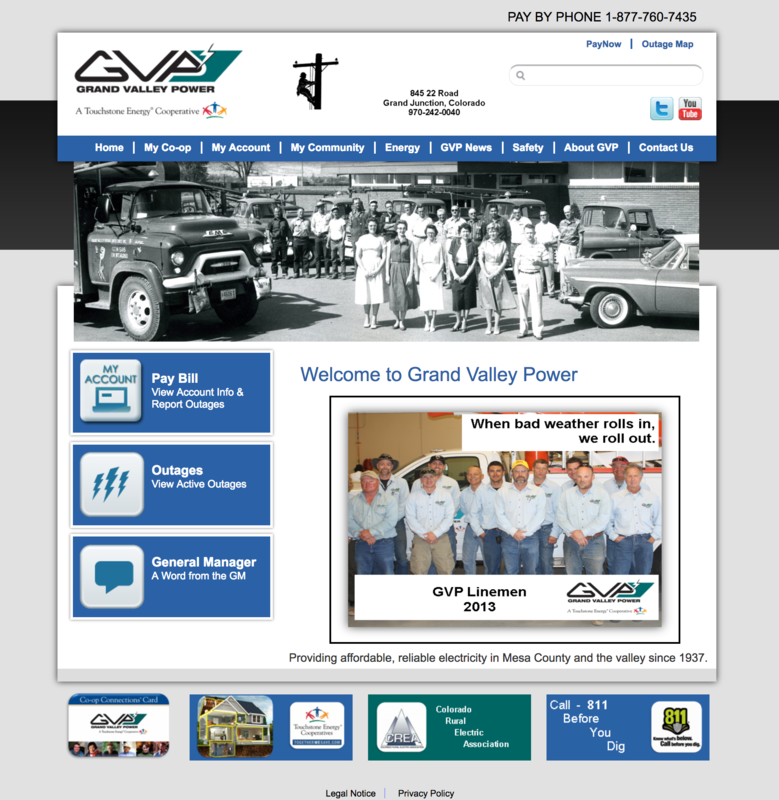 Now your co-op can have an attractive, well-designed, professional looking website without paying a fortune. We have created an easy 10 step process which puts the power in your hands. This version introduced the infamous 10-step Wizard, where you could build an entire site by following the helper tool. There are roughly 450 live websites using this version of the program. No new sites will be added using this platform. The birth of the program began with a Drupal 6 built content management system. This version had 3 classic templates that could be changed at any time. 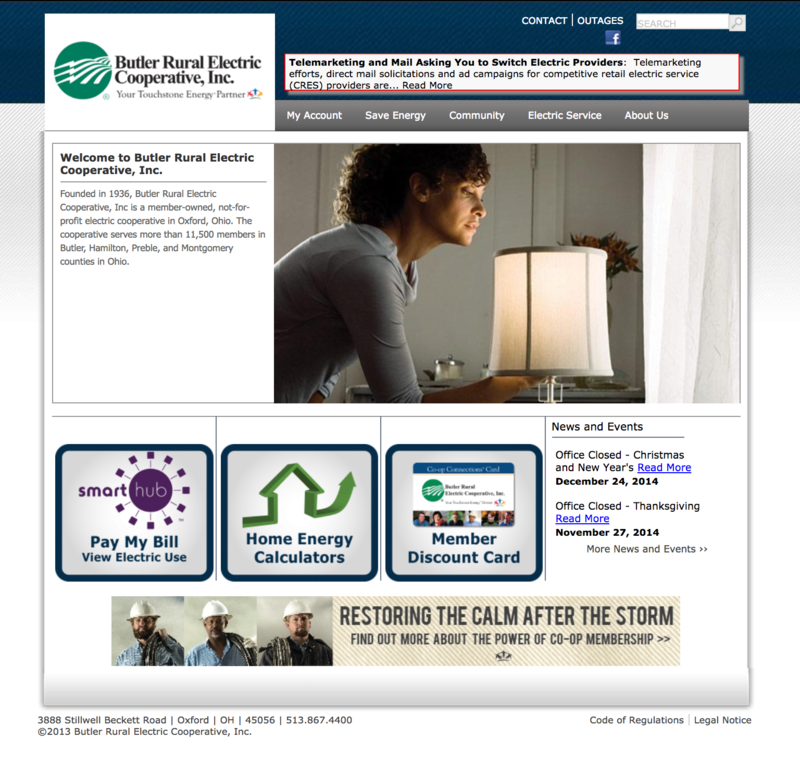 At the height of the program, there was over 135 websites hosting their live member facing electric co-op site on this platform. Since the release, we have transferred all sites from these systems over to a newer version of the program. Rest in peace legacy systems, you were great while it lasted.